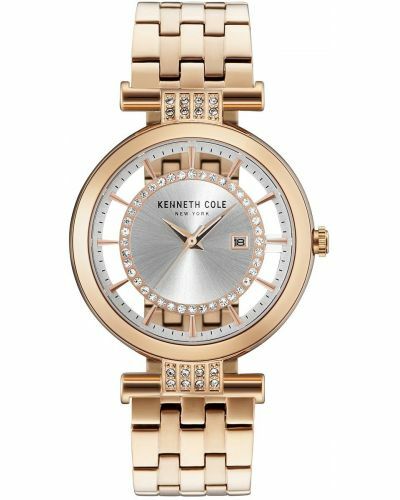 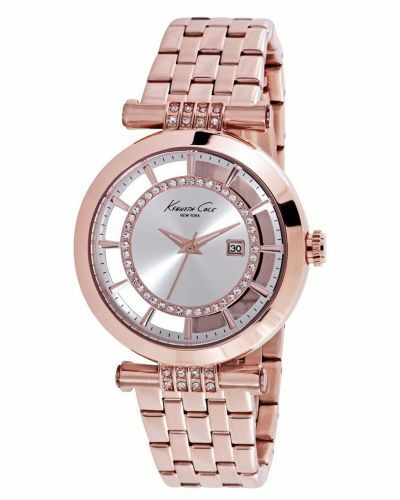 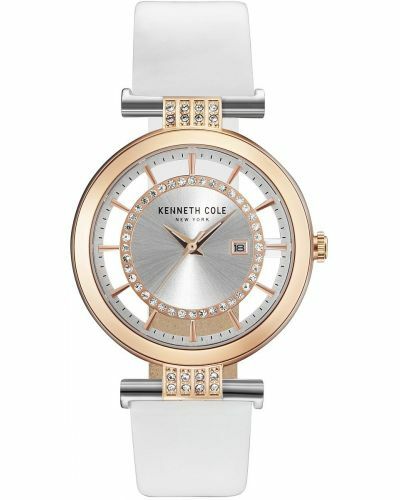 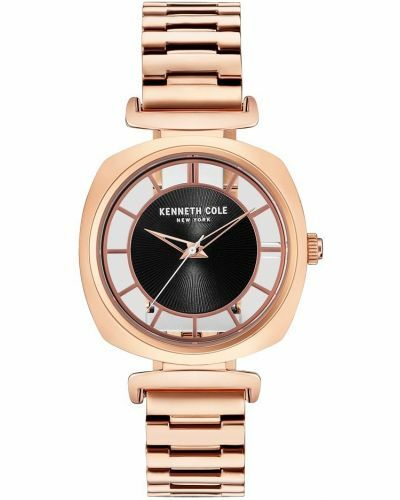 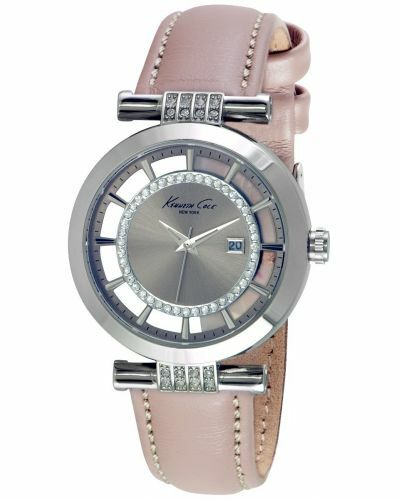 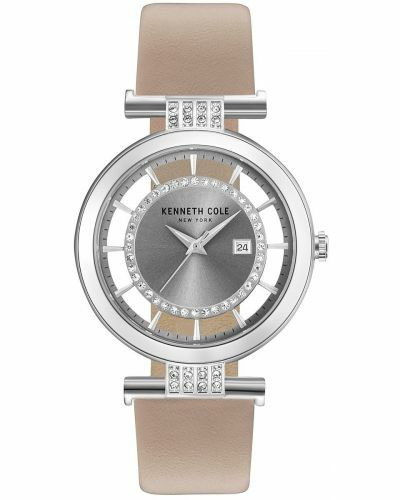 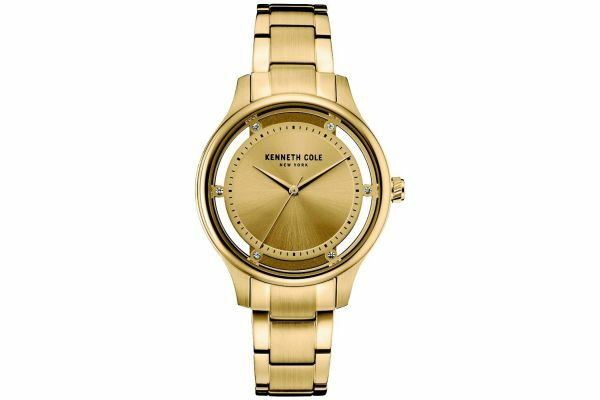 This glamorous piece from Kenneth Cole is gold plated stainless steel with cut out transparent dial detailing. 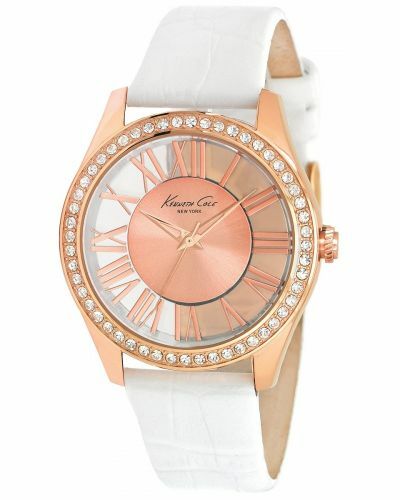 The dial is set with crystals and has a reall feminine feel. 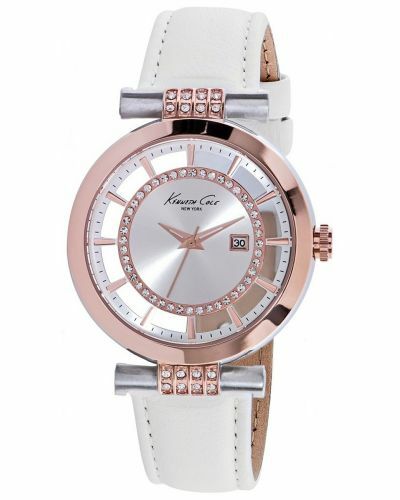 This watch is battery powered and comes with a 2 year guarante. 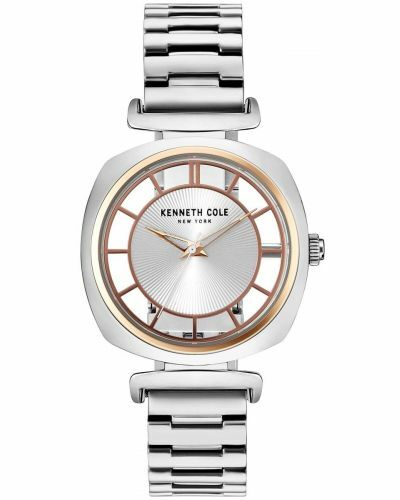 For us to size your new Kenneth Cole Transparent watch as accurately as possible, please take a look at our downloadable Watch Sizing Guide.